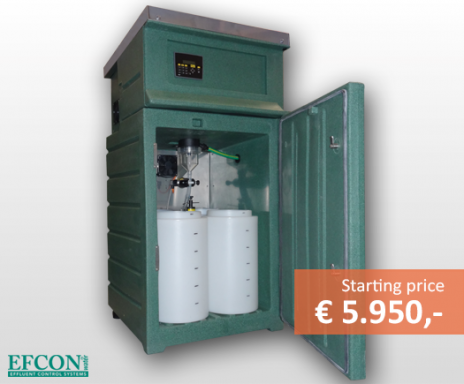 "Patented, Extremely Robust, Chemical Resistent and Stable Thermoplastic Enclosures"
Cost effective and most commonly used sampling solutions for WWTP. 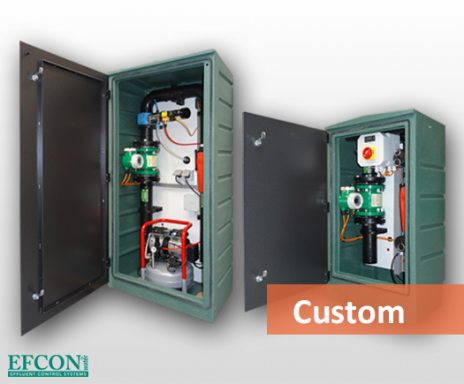 Customized sampling solutions with large sample containers. 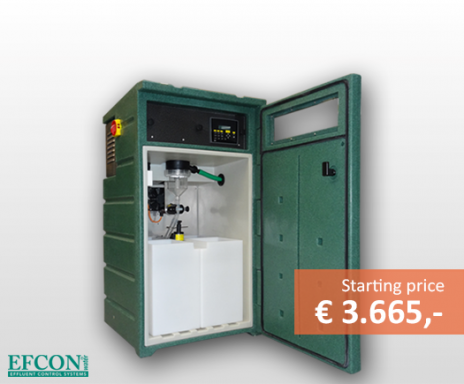 Proces integrated samplers in complete enclosures with additional equipment. 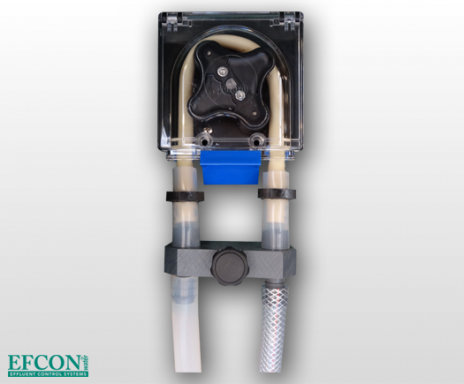 Wall mounted Vacuum or Peristaltic sampling solutions. 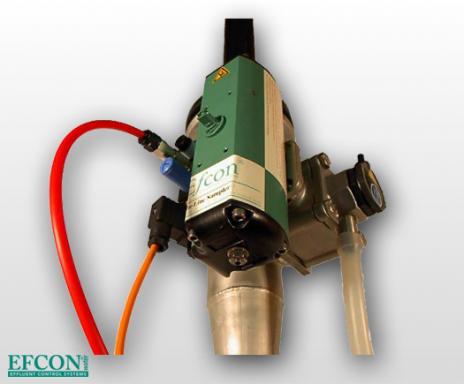 "Efcon Water uses a variety of Wastewater Sampling Techniques"
Heavy Duty Vacuum Sampler with high suction speed for open channels and rivers. Heavy Duty In Line Guillotine Sampler for untreated wastewater or sludge water. 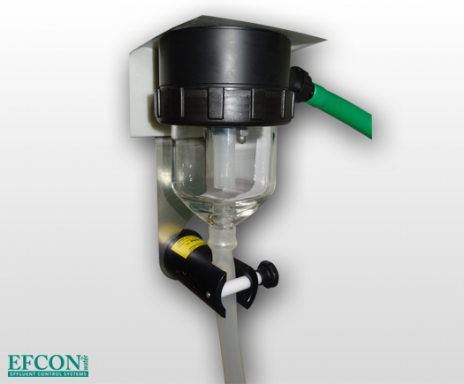 9 mm Peristaltic Suction Sampler. Not allowed for billing purposes in the Netherlands! In Line Ball Valve Samplers type ILS2W & ILS3W. Discover the possibilities. 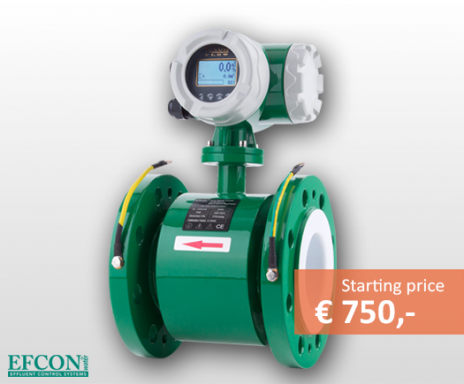 "Discover our Flowmeters, Pumps, Pits and Level Sensors"
Electro Magnetic Flowmeter (EMF). PTFE Lining, Outputs & Display. Custom Made Flowmeters. Electro Magnetic and Bubble Tube. Stainless Steel Submersible Lightweighted Wastewater Pumps. 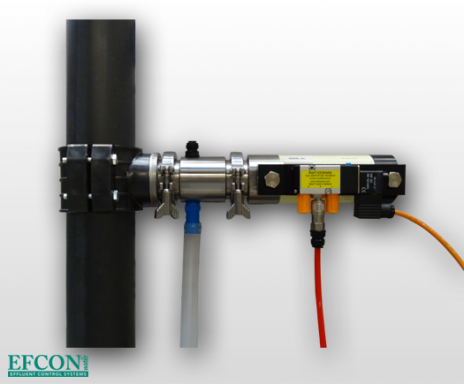 Hydrostatic water level sensor for wastewater pump control. 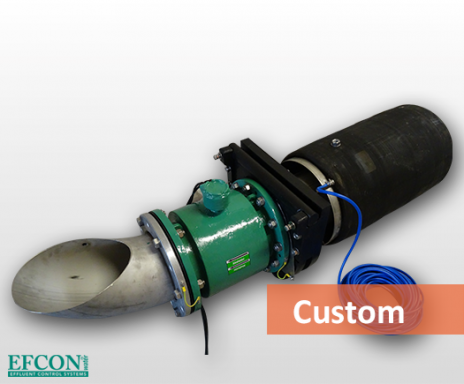 To monitor wastewater, Efcon® Water uses various optional equipment besides its wastewater samplers: Electro Magnetic Flow Meters, Special Flowmeters, Wastewater Pumps & Pits and Water Level Sensors. Please contact Efcon® Water for a specific situation demand. Our experts will be happy to assist you. Many products are in stock in order to ensure production reliability, continuity and fast customer service. Do not hesitate to give us a call. 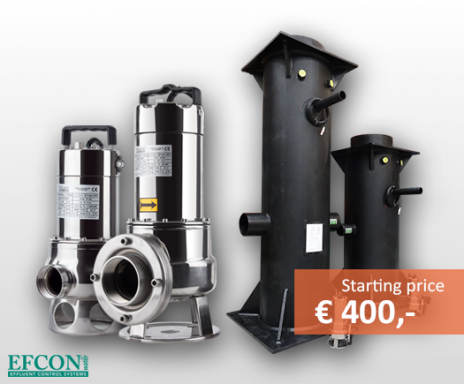 Call +31 347 342 777 or send an E-mail to info@avm-efcon.nl. It is also possible to leave a message via our contact form. We will put you in contact with your local specialist. 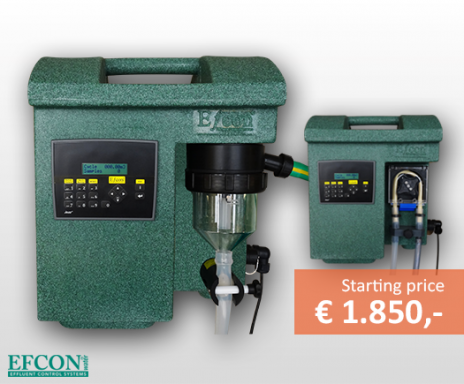 Efcon® Water ontwikkelt, produceert en installeert complete afvalwater meet- en monstername stations. 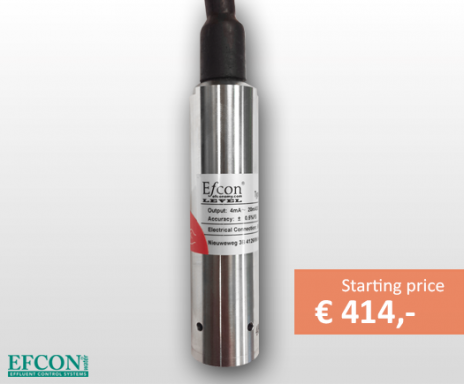 In de Benelux worden Efcon® producten rechtstreeks in de markt verkocht. AVM betreut Seine Efcon® Kunden in Niederländisch und Englisch. Informationen in weiteren Fremdsprachen erfolgen durch die lokalen Reprasentanten der entsprechenden Lander. Nehmen Sie bitte mit Efcon® Kontakt auf, damit wir fur Sie den Kontakt zu den lokalen Reprasentanten herstellen. AVM est une entreprise bilinque anglais et allemand. Toute Efcon® information, dans une autre langue que l’anglais et l’allemand, peut etre communiqué par la societe qui represente Efcon® dans votre pays. Sur demande, nous pouvons vous mettre en contact direct avec cette societe. S'il vous plaît nous contacter pour plus d'informations.